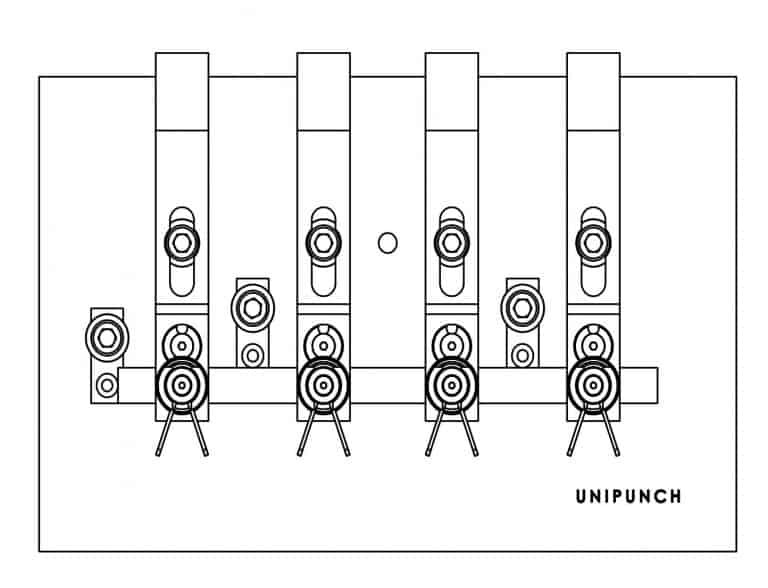 The UniPunch system is a catalogue of units that can be used alongside one another to punch holes and notch edges to make a part. The most widely used design is a c-frame casting that has been machined to precisely hold the punch and die in alignment with the centerline of the round pilot pin. Each unit is complete with its own stripping spring that pulls the punch back out of the part after the hole has been made. In most units, a metal sleeve called the guide holds the part down as the stripping spring pulls the punch out of the part. 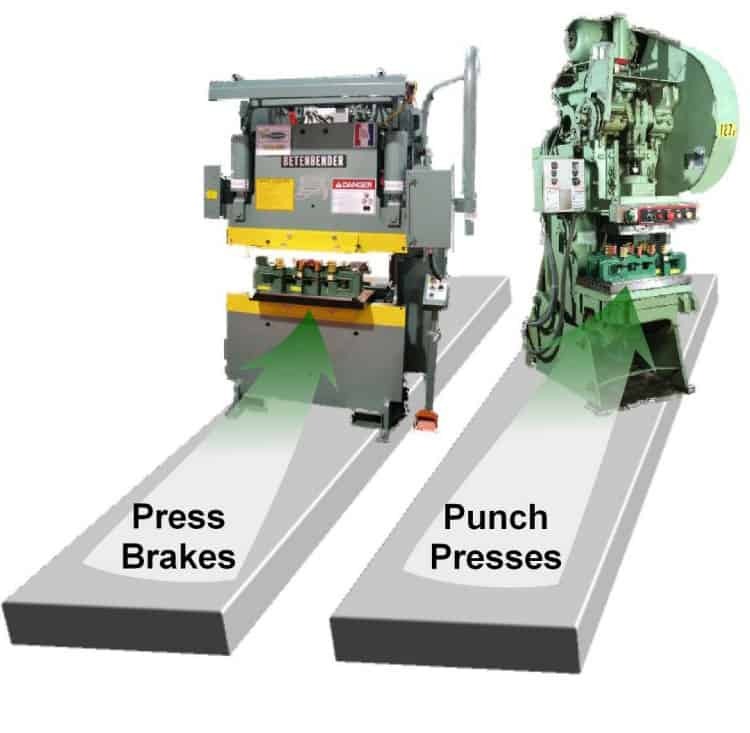 We designed UniPunch tooling to work in press brakes and punch presses. Mount several units in your press to punch all the holes in one hit. 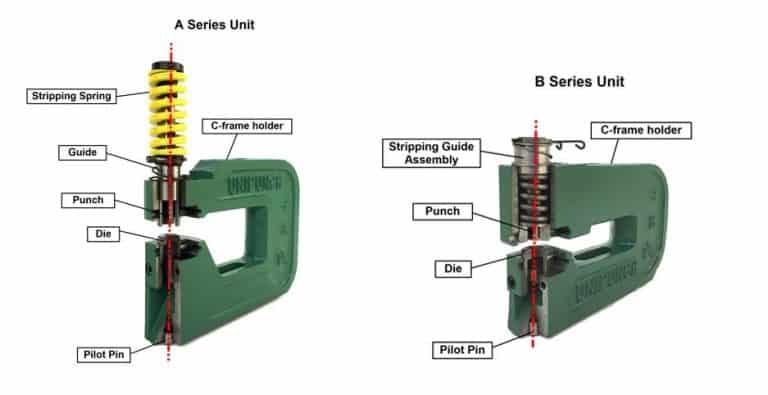 The round pilot pin on the bottom of the unit is used to achieve the desired hole pattern by inserting it into the designated hole in the mounting system (such as a mounting template). 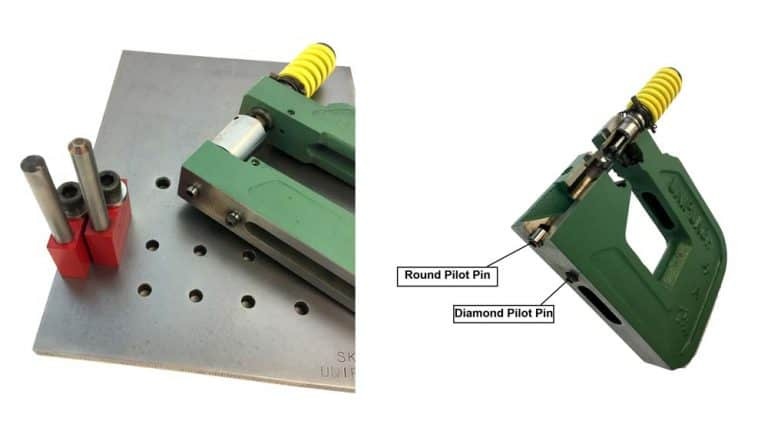 When a shaped hole is required, an additional diamond pilot pin (orientation pin) is required to maintain the orientation of the shape in the hole pattern. The mounting system maintains the hole to hole pattern from one batch of parts to the next.